For those feeding off scraps at the bottom of the food chain, this is another such week with the Second Stage of the PGA Tour QSchool and the Europro Tour Championship getting underway today. Until you give up or the game gives up on you, professional golfers will continue to seek the Holy Grail of the big tour, the multi-million dollar purses and the game’s biggest prizes. As the PGA Tour changes structure next year, this is the last Q-School that will give graduates direct access to the PGA Tour itself and West Waterford’s Seamus Power isn’t the only big name bidding to keep the dream alive this week. He tees it up at Plantation Reserve in Florida alongside the likes of Ryder Cup players Ross Fisher and Jesper Parnevik, former PGA Tour winners Notah Begay and Carlos Franco and European Tour regular Oliver Fisher. The 25-year old Waterford talent will be taking nothing for granted after last year. He was a step away from a place on the second tier Nationwide Tour - now the Web.com Tour - when he reached the second stage of the QSchool 12 months ago only to see his hopes cruelly dashed with a costly finish to his final round. But he’s back again and looks stronger than ever having captured the first two wins of his pro career on the eGolf Professional Tour in the US this year. Mini tour golf has produced its share of fairytale stories with the likes of Tommy “Two Gloves” Gainey, Boo Weekley and last weekend’s winner Charlie Beljan just a few of the rags to riches stories. On this side of the Atlantic, four Irish players tee it up in the 888poker.com Tour Championship on the Europro Tour hoping to get their hands on the £15,000 top prize and an even more valuable prize. The top five on the Europro Tour’s final Order of Merit will secure Challenge Tour cards on Thursday night and while the two of those spots have already been secured by money leader Stuart Manley of Wales and second-placed Scot Duncan Stewart, there’s still hope for Mick McGeady (14th), Jonny Caldwell (20th), Tim Rice (21st) and Paul Cutler (49th). Like Cutler, McGeady did not make it through Stage One of the Q-School in Europe this year but Rice and Caldwell will be doubly determined to win at Woburn having fallen at Stage Two of the Qualifying School in Spain last week. Rice will be especially keen to erase the memories on Saturday’s nightmare when he needed a par at the last to secure his place in the finals and a back nine of 29 only to rack up a double bogey six that left him out in the cold. 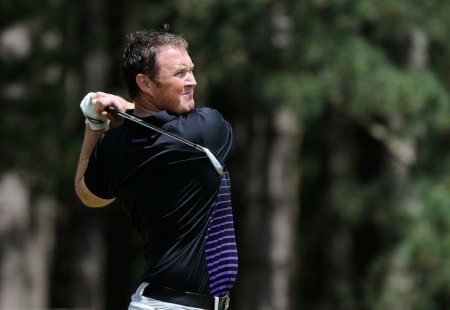 The 35-year old Limerick man has been a professional since 2003 and while he played full time on the Challenge Tour in 2005, he made just three cuts with his best finish coming in far-off Peru the previous December, where he finished 22nd. Niall Turner in action during the first round of the Iskandar Johor Open in Malaysia. Photo Eoin Clarke/www.golffile.ieHe may still be able to fall back on the Asian Tour but Muskerry’s Niall Turner is one of nearly 300 hopefuls chasing their dream at the second stage of the 2012 European Tour Qualifying School in Spain over the next four days. Seamus Power is just outside the qualifying places midway though his US PGA Tour Q-School second stage qualifier in Florida. Seamus Power is in position at the second stage of the PGA Tour Q-School with a round to play. Seamus Power will have to block out the memories of his agonising one-stroke failure 12 months ago when he goes into the final round of his PGA Tour Q-School Stage Two qualifier with the final stage in his sights.